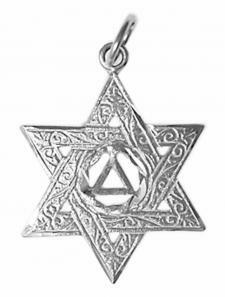 This beautifully made sterling silver Star of David Pendant has the AA Symbol at its center. A loving tribute to both Faith and Recovery. This AA pendant makes a wonderful gift.